Are you looking for commercial movers Brooklyn based? If you are - you are in the best place! Dorothy & Martha Moving NYC is a professional moving company that can help you move your business offices or other facilities quickly and trouble-free. All you have to do is to give us a call, and we will take it from there. Opting for our moving services is a right thing to do, and once you give us a chance, you will learn why! Moving can seem like an easy task to take on. It really can, But is it? No. Not really. Especially if we are talking about moving your business. It doesn’t matter if you are planning on moving locally or long distance, commercial relocation is something we take very seriously. It has to be perfect in any way possible. Your happiness and satisfaction come first to our commercial movers Brooklyn, and after opting for our assistance we will make sure you learn what moving your business with a smile on your face means! Our long distance movers in Brooklyn are at your service, wherever and whenever you need them to be. Dorothy & Martha is a professional moving company that will provide you with some highly-trained and happy to help moving experts, so don’t worry – your belongings and business equipment are going to be in the safe hands at all times. We want you to know that you can trust and rely on our moving teams. And we will make sure you feel this way. We are happy to land you a hand! They really are. It doesn’t matter what you need us to move – we will do it. All you have to do is to say a word, and we will be there, ready to help you move your company in a safe and timely efficient manner. We offer our clients a wide range of moving services that are tailored to fit all your company’s needs, so don’t worry – opting for our moving services was a right thing to do! Dorothy & Martha Moving NYC at your service! Moving can be quite expensive. Well, not with us on your team. We will make sure everything goes as planned and without any problems. But – at an affordable rate. We know how much this aspect means to you, and that is the main reason why we have created our moving services to be what they are today. There is a reason why so many people opt for assistance. And after you give us your trust, we will make sure you learn why is that so. Our commercial movers Brooklyn are the ones you have been searching all along, so look no further and give them a chance! Choosing our commercial movers Brooklyn was the right call to make. All we have to do now is to set a date! It really is. Our commercial movers Brooklyn know how important this relocation is to you, and that is why they will do everything they can to make it easy on you. Business relocation must be performed properly. Fast, just as planned and even more importantly – with one goal in mind. To move your business without interrupting its productivity or profits. This is the number one reason why you should opt for professional assistance instead of trying to take care of this task all by yourself. Your business growth is what matters the most, and our team will do everything that they can not to interrupt it! Every relocation is unique. But, commercial relocation is something different. It takes meticulous planning, thorough preparation and an eye for the detail. That is what our commercial movers Brooklyn have. And are ready to share it with you. We will make sure you move your company’s facilities stress and trouble-free. Our moving experts are more than happy to help and provide you with all the necessary information, so feel free to give us a call at any point. We are here for you. And most importantly – because we are one of the best art handlers from Brooklyn, we will treat your belongings like any other art piece. Let us take care of your commercial relocation, and take give yourself time to take care of your business’ growth! Are you in need of some additional space for your equipment or documentation? We can provide you with that, too. Our storage solutions are created in a way to satisfy all your relocation needs, so don’t hesitate and give us a call today! We will make sure you find a storage unit that checks all the boxes for you. Our facilities are modern, safe and easily accessible. All you have to do is to choose the one that is the best option for your business’ needs. If you are worried about how much your relocation is going to cost you – don’t. We will make sure you move without breaking the bank. Our services are more than affordable, and you can easily check if we are telling the truth. 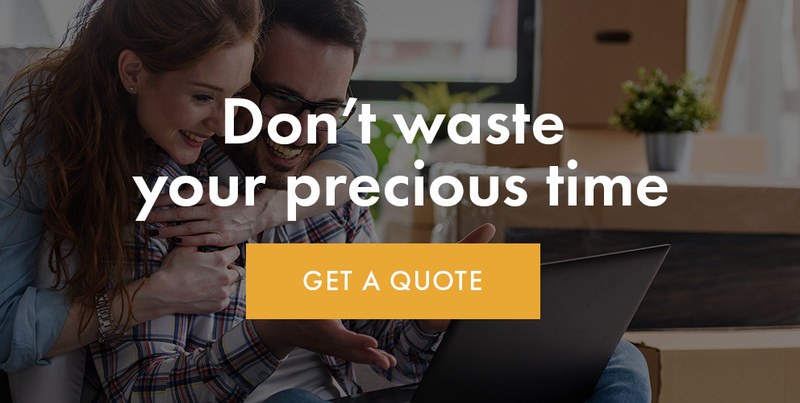 Check out our free moving costs calculator on our official homepage, and you will learn that moving at an affordable rate is more than just a dream. Learn all about moving on our blog or from our commercial movers Brooklyn! Moving can be confusing. And that is why we have created a website with all necessary information, ready to use. Feel free to explore our blog, and you will know everything about moving your business in no time. And when the time comes – our commercial movers Brooklyn will help you move your company!